This Tfl project was never realised. Through two legal channels, content on handheld camcorders and other digital recording devices was to be retrieved from Tfl's lost property archive. What was intended to occur was a free redistribution of this content. 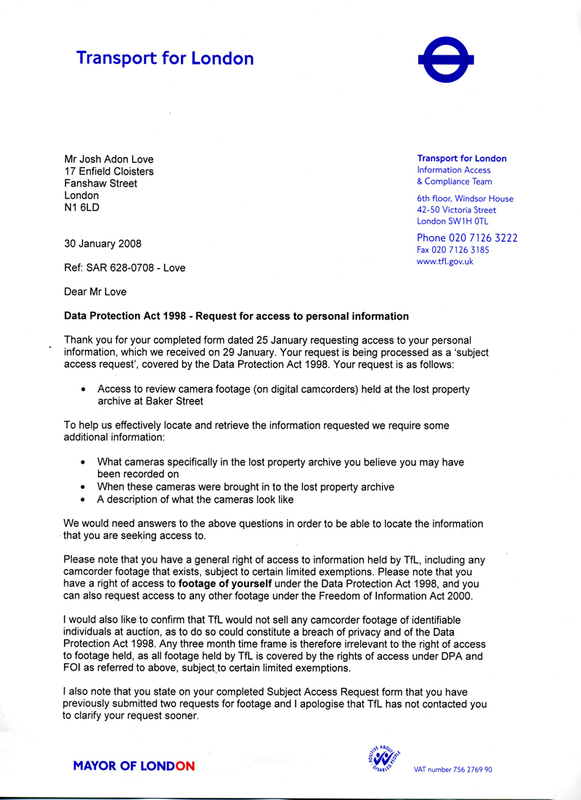 It was suggested to Tfl that content in the lost property archive was subject to search under the Data Protection Act, this possibly being the case as Tfl sells the unclaimed property at private auction to fund the archive. After a three-month period the majority of property is sold off, indicating that at this point it is considered the property of Tfl. 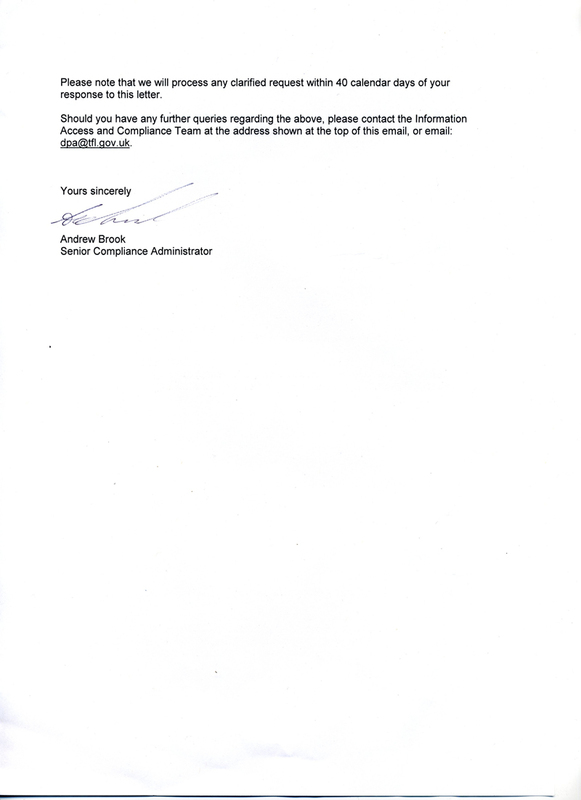 Tfl accepted this, requiring further information to process a possible request. To remove property form the lost property archive additional information required would include descriptive information about the lost cameras and/ or specific times and locations on which I had personally been captured (the project was not to be a case of loosing and then finding with the aid of the data protection act). The secondary legal route pursued was the Freedom of Information Act under which it was suggested that Tfl could hold a monopoly over lost content and therefore be infringing on its business code of conduct. This also failed in receiving a favourable response. The legal position required for the releasing of this material is still unknown, however, the use of the Data Protection Act in situations of publicly recorded material met response.